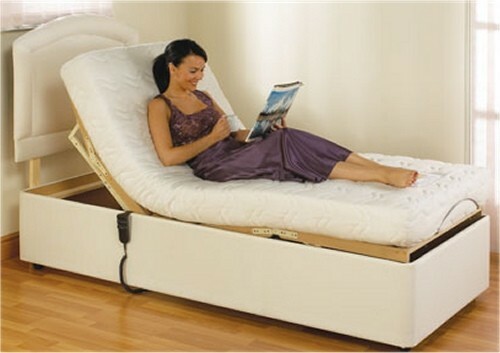 Electric Adjustable Beds at Ribble Valley Recliners in Lancashire. Ribble Valley Recliners Range of Electric Adjustable Beds and Mattresses. 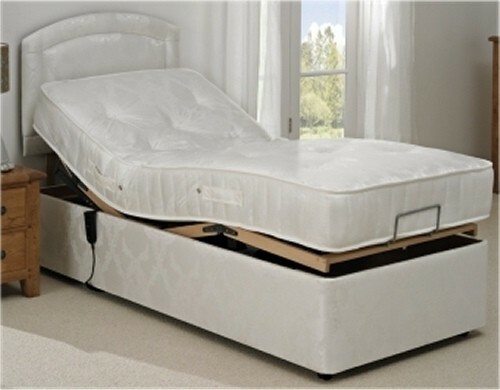 Our range of Electric Adjustable Beds and Mattresses can help you ensure a good nights sleep. The bed base can be adjusted to your desired position thus providing you with the ability to maximize your comfort. The five fold adjustable bed base is innovative in design, and will support the five key areas, knees, hips, back, shoulders and head. The different mattresses from soft to firm can be tried by you at our showroom. This means that the best comfort for you can be achieved. The aches and pains you experience can be alleviated by altering the support your adjustable bed gives to these areas in your body. 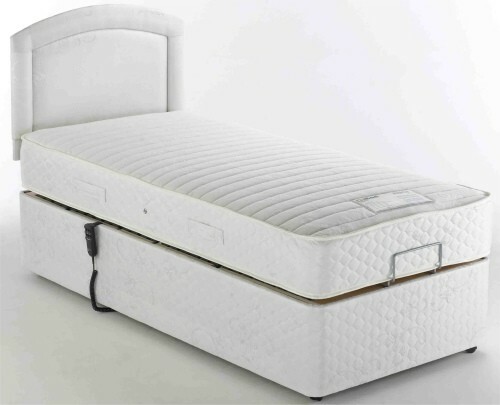 The bed base can be adjusted to aid your bodies circulation as you sleep. The bed mechanisms are of very high quality. The action of the motors is smooth, quiet and very robust. 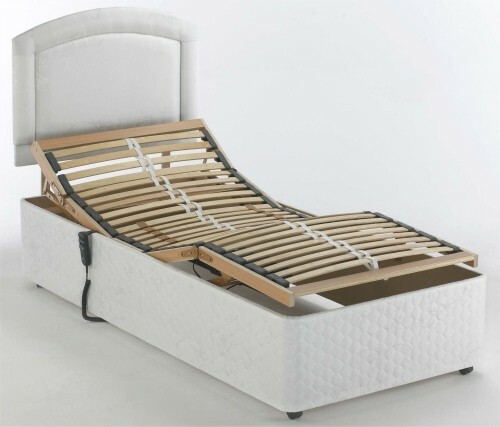 Built in the UK these beds are of the highest standard of mobility bed manufacturing.